We recommend you book your van hire in Colchester with us as early as possible to ensure availability. To make a reservation, please get in touch on 01206 796657. Our friendly team will kindly answer any queries you may have and secure your booking today. Is there a limit on the mileage I can do in the hire van? What do I need to give you to hire a van? What happens if I breakdown in one of your hire vans? Are the vans cleaned before they are hired? I may need to hire a van on a regular basis, do you offer a discount? I need to hire a van to go to France, can I do that? Our vans can be hired to travel through Europe, please ask about our European Rates. I am moving house, what van would you recommend to hire? What days can I hire a van? 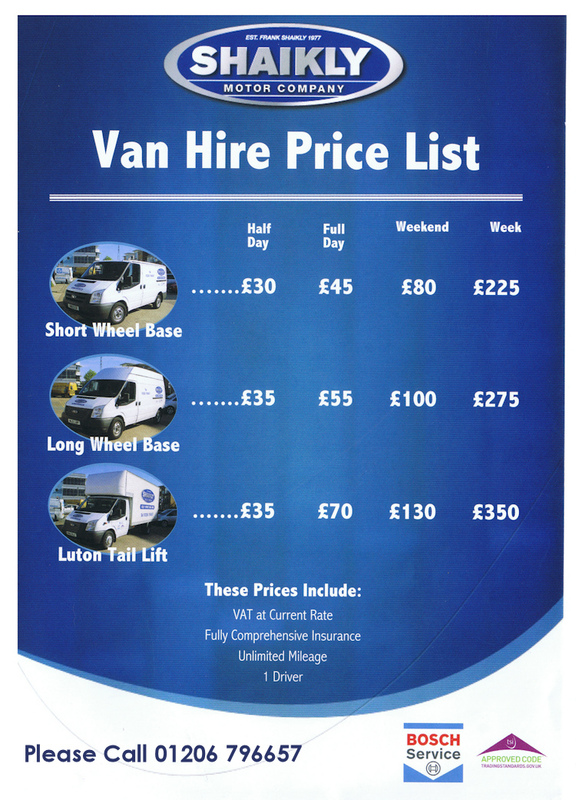 For any other queries about our Van Hire..